It’s been a little over five months since the last non-exhibition Major League Baseball game was played, but meaningful baseball is finally taking place again today (Opening Day, part one). After a month of Spring Training games, six of baseball’s thirty teams are scheduled to dual it out over the course of this afternoon and evening, with the remaining twenty-four squads playing their opening games on Monday. Game one of the regular season is set to kick off at 1:05, and sees the Cardinals taking on the Pirates in a National League Central battle. Francisco Liriano and Adam Wainwright are the scheduled starters for the contest, leaving little to doubt that it will be a great game. With the NL Central likely to be a very close race throughout the coming 162 games, it’s never been more important to get off to a good start against a division rival. The second game on the docket for today is another divisional faceoff, as the Blue Jays are going up against their American League East counterpart Rays. While the Rays aren’t predicted to hold up against Toronto in the long run, anything can happen in the first game of the year. On the mound for Tampa is Chris Archer, with Marcus Stroman toeing the rubber for the Jays. It will likely be a fun one to watch, with this game beginning at 4:05 in the afternoon. But while the previous two games are sure to be exciting and well worth watching, the one I’m going to be watching the closest and am looking forward to the most is the World Series rematch between the Mets and the Royals at 8:37. Game five of the Fall Classic way back on November 1st saw Matt Harvey starting for the Mets, with Edinson Volquez setting the tone for Kansas City, which just so happens to be the pitching matchup for tonight. For that reason, this should wind up being an unbelievable game. As we all know, the Royals walked away World Series champions over the Mets in 2015, however, that was last season. It’s a new year, and with it comes new opportunities for each and every team around baseball. The road to the World Series starts with game one, and the first week always promises excitement from teams and individual players around baseball, as they all look to get off to hot starts. Multiple 100-Game Winners In 2015? When you think of a magic number for a pitcher in a season the first number that will likely will pop into your head is twenty wins. For a hitter, when you think of a solid season, it likely involves around a .300 average, 20-30 home runs and/or around 100 RBI’s. And when you think of a so called magic number for a team as a whole, the number 100 probably stands as the number that everyone pictures each team shooting for but very few teams hitting. While a twenty win pitcher occurs seemingly every year, and a player (or several) always reaches the aforementioned magic numbers for a hitter, it is becoming more and more rare for a team to pick up 100 wins in a season. In fact, there hasn’t been a single 100-game winner in all of baseball since the 2011 Phillies. Taking things even deeper, two or more teams haven’t reached the 100-win mark in a single season since 2004, after a streak of multiple 100-game winner from 1998 through 2004 (with the exception of 2000). It would appear, however, that both droughts could be broken in 2015. East – Orioles (96-66): The Baltimore Orioles completely blew away all of the competition in the American League East last season, winning by a total of twelve games over the second place Yankees. But while they were a terrific ball club last season, things are likely going to take a bit of a downfall in the coming season. 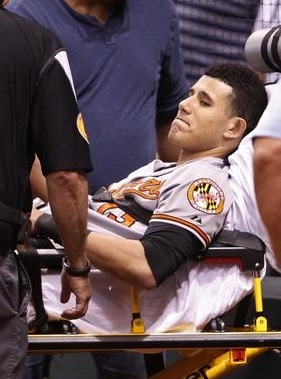 The biggest reason for the fall being that they O’s lost a good chunk of their offense via trades and free agency throughout the past few months. No longer possessing slugger Nelson Cruz, veteran outfielder Nick Markakis or reliever Andrew Miller, things are sort of up in the air for how the Orioles will perform in 2015. Therefore, even if they surprise some people, I don’t think they’ll be able to pull off the stunning feat of winning 100+ games. Central – Tigers (90-72): For the Detroit Tigers, they are a particularly intruiging team. For the past couple of years, there’s no reason they shouldn’t have been able to pull off a 100-win season, playing in somewhat of a weaker division, however, the Tigers have disappointed to a degree. Having a great lineup and pitching staff, the Tigers have recently been in the preseason World Series predictions by a number of people throughout the baseball world. But things just haven’t panned out. Having lost Max Scherzer — their undeniable ace of the pitching staff — to the Nationals, and with certain players not performing up to their potential, I’d say it’s going to be tough for the Tigers to even hold off the Royals from taking the division crown. A 100-win season was doable over the past few seasons, but the opportunity for them has come and gone. 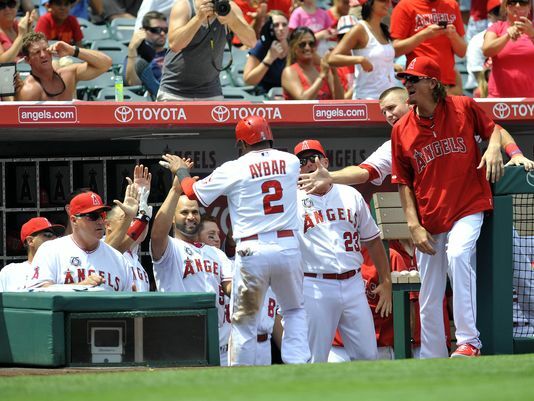 West – Angels (98-64): The Angels fall into a category much like the Tigers. The slightly more successful version of Detroit, many people saw the Angels winning it all in 2012 after the acquisition of Albert Pujols, but injuries and underperformance in general have caused the Angels to come up short. But falling just two wins shy of the coveted 100-win plateau in 2014, things look promising that the Angels could become the first team in four years to hit triple digits. Their lineup is there — with the exception of Josh Hamilton, who is a huge question mark — and their pitching is good as well. The only thing standing in their way are the other teams in the West. The Athletics — despite an offseason deconstruction — always seem to be in the mix, and the Mariners are very good as well. It will be exciting to see what happens. East – Nationals (96-66): Without question, the number one team to watch throughout the 2015 season is the Washington Nationals. After putting together a 96-win season last year — winning the National League East division by a major league best 17 games over the Braves — the Nationals could likely make a run at 100 wins if they put out the exact same roster from 2014. But their roster is better than last season — much better. Picking up Max Scherzer who has gone 39-8 with a 3.02 ERA over the past two seasons, their pitching staff is the top one or two in all of baseball. If Scherzer can continue to pitch as he has over the recent history of his career, and if supposed phenoms Bryce Harper and Stephen Strasburg can finally put up super star caliber numbers, the sky is truly the limit for what appears to be an extremely dominant Nationals team. Central – Cardinals (90-72): I am a strong believer that the National League Central Cubs will make a run at the postseason as soon as 2015, but they by no means will win 100 games. The Cardinals, though, stand a chance, however slight it may be. Given, it would have to be a ten win jump from their record in 2014, the Cardinals are one of those teams that could surprise some people. With a decent rotation that includes the always reliable Adam Wainwright, and a lineup that possesses All-Star catcher Yadier Molina, who can make any pitcher look like a former Cy Young winner, the Red Birds will win a lot of games moving forward. The division isn’t extremely strong, and their track record has proven that the Cardinals can go on a run with the best of them. Still, it won’t likely add up to a 100-win year for them. West – Dodgers (94-68): A pitching rotation that includes Clayton Kershaw is always sure to be a terrific one. But the Dodgers’ staff doesn’t begin and end with Kershaw. He’s their best pitcher, no doubt, but the addition of Brandon McCarthy to go along with Zack Greinke and Hyun-Jin Ryu will go a long way in a 2015 quest for 100+ wins. But the Dodgers will be without on and off superstar Matt Kemp in the outfield — the hope is that Joc Pederson will fill the role there — and the loss of Dee Gordon and Dan Haren will certainly have an impact. The lack of those players could be enough to keep them from winning the division like they were able to do in 2014. Nonetheless, despite all of the losses, the pickup of veteran infielder Jimmy Rollins in addition to promising backstop Yasmani Grandal should lead to a decent enough lineup. If I had to guess, though, the Giants will be riding them too closely for the Dodgers to break 100 wins. In conclusion, while every season is unpredictable, this year could see a 100-game winner (or two) for the first time in four seasons. But even if that doesn’t happen, there are teams such as the Cubs, White Sox and Padres who will make legitimate playoff runs after failing to do so in quite some time. That alone is enough to cause any baseball fan to continue counting down the days until Opening Day. Opening Day is the most exciting day of the year as far as baseball fans are concerned. With it comes lofty expectations, of both individual players and teams, as well as predictions for how every team will fare. But the best part of Opening Day is that, being the first game of the year, it gives every team — no matter how good or bad they may turn out to be — the opportunity to have a great deal of optimism for the coming season. While the hopes and dreams of certain teams and fans alike will dwindle as a given season goes on, game one of the long season provides fans their first look at the key pickups their team made during the offseason, with the hopes that the moves they made will lead them to a World Series title. Whether it be by a trade or a free agent signing, each and every team always does something in the offseason to attempt to improve their team for the following year. Yet another predicted future phenom to make his way over from Cuba, Jose Abreu impressed many people throughout Spring Training, and he continued to do so on Opening Day. Going 2-4, with one of his two hits scoring a run, Abreu didn’t show off the power in his first big league game, however, the natural pop he has in his bat was evident. 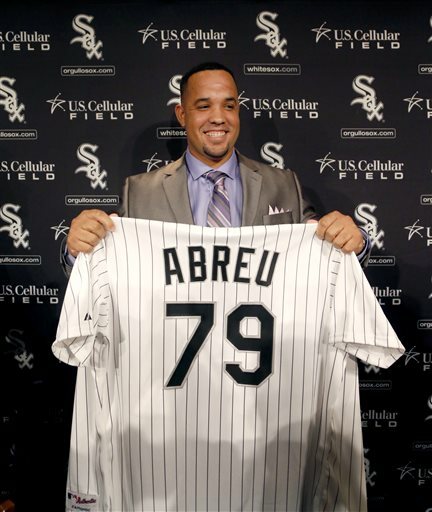 With the White Sox being somewhat of a question mark for the coming season, Abreu, if nothing else, will go a long way in bringing attention to the team. Part of a long list of player who’ve tested positive for performance enhancing drugs over the years, with his suspension coming in 2012 , Marlon Byrd is coming off a breakout season spent between the Mets and Pirates last year, and is looking to prove that he can continue to be that type of player moving forward. Hitting a career high 24 home runs last season, Byrd is well on his way to reaching the lofty total yet again, going 2-6 with a home run in his first game in a Phillies uniform since 2005. Moving from the Tigers to the Cardinals this past offseason, Jhonny Peralta can be an impact player on any club. Despite a performance enhancing drug suspension last season, Peralta was signed by the Cards to man the shortstop position for the coming season, and while he went hitless in his first game of the year (he looked solid defensively), many are looking for Peralta to have a great season. With an already fantastic team from top to bottom, Peralta could find himself apart of a very special season. Yet another player who served a suspension last season due to performance enhancing drug use, Nelson Cruz is a major power threat, nonetheless, and was a great pickup by the Orioles. He proved that threat first hand on Opening Day, blasting a solo home run in one of his two official at-bats of the game. With a lineup of several power sources already — Adam Jones, Chris Davis, and Manny Machado, once he returns — Cruz combines together to make for a very formidable Orioles lineup. Though he isn’t the best power hitter in baseball, Michael Morse has the potential to go on hot streaks in which he can rack up a good amount of home runs in no time. Bouncing around between teams over the past few seasons, Morse wound up with the Giants this past offseason, and is sure to be a key part of their lineup moving forward. Going 1-3 on Opening Day, Morse is part of a very good Giants team, and if he can perform to his potential throughout the year, they could do very well. One of the best stories of the year, Grady Sizemore joined the Red Sox in January, after not having played in a major league game since 2011 due to a multitude of injuries. 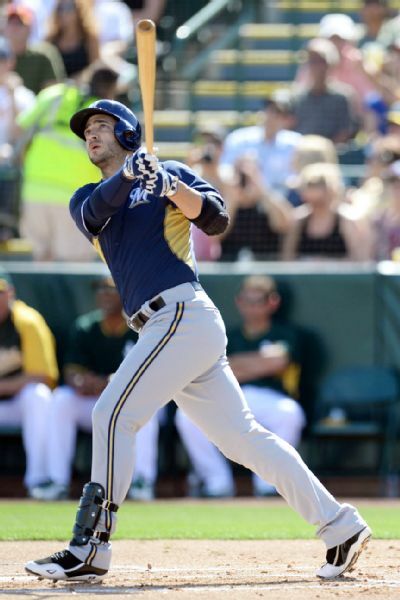 He was subsequently put up against promising prospect Jackie Bradley Jr. during Spring Training, having to prove himself worthy of the Opening Day center field spot. Sizemore wound up having a fantastic Spring, winning the job, and had a great return game in Baltimore, going 2-4, including a towering home run to right field. Part of a trade between the Tigers and Rangers, which sent Prince Fielder to the Rangers in return for Ian Kinsler, the Rangers definitely have a much better lineup than they did last season. 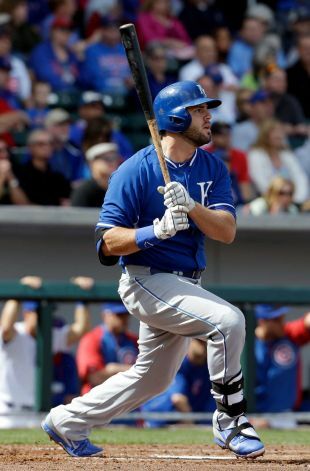 While Fielder went just 1-5 on Opening Day, on a mere single, he possesses one of the biggest power bats in all of baseball. He should get things going and come close to, if not exceeding, his previous averages of over 30 homers and 100 RBI’s a season. 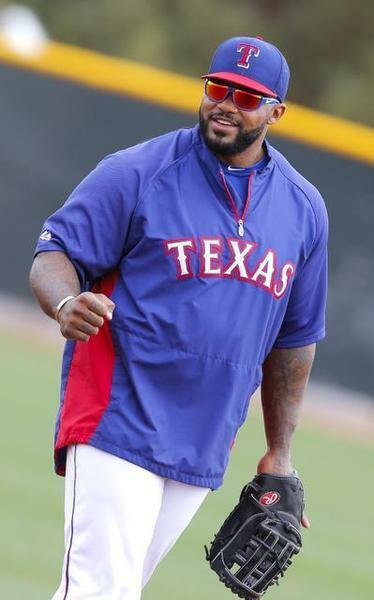 For the Rangers to beat out the Athletics in the division, they need Fielder to get hot. Known for getting on base better than pretty much anyone all of last season, putting together a .423 on base percentage, the Rangers signed Shin-Soo Choo to a major deal this offseason, looking for him to continue to be the same type of player. But he didn’t start his year off all that well, going 0-4 in game one, though he did reach first on a walk. Despite his poor debut with the Rangers, Choo should be fine. He’s not going to hit you a ton of home runs, but if he can get on base, the rest of the lineup will take care of the runs. The piece that the Tigers got in return for sending Prince Fielder to the Rangers, Ian Kinsler can contribute both offensively and defensively. Though the Tigers lost a major run producer in Fielder, and they will undoubtedly miss his presence throughout the long season (with Miguel Cabrera having to carry the Tigers more than ever), Kinsler, although he went hitless in his first game in a Tigers uniform, should make an impact for the Tigers, who are predicted by many to run away with the division. Coming over to the Diamondbacks from the Angels this offseason, Mark Trumbo can launch a baseball like very few others can. With that power threat comes a major impact player, as Trumbo played a big role in the Angles lineup and will undoubtedly be a big piece of the D-backs’ lineup. Going 3-5, with a pair of RBI’s, in his first game of the season, Trumbo certainly didn’t disappoint in what could turn out to be a big year for him if he can get everything going from here on out. Moving across town this past offseason, Curtis Granderson surprised many when he exchanged his Yankees pinstripes for those of the Mets. But although Granderson is supposed to be one of the top power threats in the Mets lineup — hitting over fourty home runs in both the 2011 and 2012 seasons — he disappointed in his Opening Day start. Striking out three times in a hitless five at-bats, Granderson certainly didn’t show much of anything, but he should still get up around the thirty homer range when all is said and done. The top free agent of the offseason, many felt that Robinson Cano would remain a New York Yankee for the entire length of his career. But instead, Cano signed a mega deal with the Mariners keeping him in Seattle for the next ten seasons. 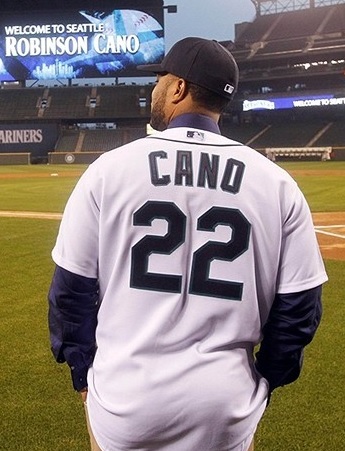 In his first game with his new club, Cano went 2-4, including a double late in the game. Though many people are predicting a fall in Cano’s power numbers, with him playing home games at Safeco Field, Cano proved that his consistency will likely remain. With the loss of David Freese to the Angels in exchange for Peter Bourjos, the Cardinals are a slightly weaker team than they were last year. However, Matt Carpenter, previously their second baseman, took over Freese’s spot at the hot corner, and is expected to do a great job. On the Angles end of the trade, they picked up what should be a decent upgrade at third. Freese didn’t do much in his Angels debut, going hitless in four at-bats, but he looked good defensively, and his bat will surely come around to give the Angels a great overall lineup. Having been moved from the Twins to the Pirates in the second half of last season, Justin Morneau found himself joining the Colorado Rockies this offseason, giving them some much needed pop in their lineup. While Morneau can be an impact player, the Rockies simply don’t have a good enough team to put together all that great of a season. Therefore, even though Morneau went a mere 1-4 in his Rockies debut, he should continue to be consistent, with the Rockies’ poor performance as a whole staying consistent as well. We’ve had the Opening Series, held down in Australia on March 22nd and 23rd; we’ve had Opening Night, held down in San Diego last night; and now, after so much anticipation leading up to the year, we’re set for Opening Day — an unofficial holiday for millions of baseball fans around the country. This is the day we’ve all been waiting for, ever since the final out of the World Series was recorded in October of last year. Thirteen total games are on tab for today, with the Yankees, Astros, Dodgers and Padres being the only teams not in action. The games will take place all throughout the day, from 1:05 Eastern, with the Pirates taking on the Cubs, to the Mariners going up against the Angels, at 10:05, making the entire day exciting. Not only is Opening Day fun because of the official start of the 162-game baseball regular season, but it also stands out as one of the few times you ever see every single teams pitching ace on the mound around the country. Every team starts from zero, with hopes of making the postseason (some with better odds than others) and putting your best pitcher on the mound is a great way to kick off the year on a high note; knowing that things may not look too good towards the end of the year. With so many changes this past offseason, this could be one of the most intriguing Opening Days in years. While teams and players have had over a month of Spring Training games to show off their potential, those games are basically meaningless. You never know how individual players, and teams as a whole, will fare for the entire length of a season. That’s what makes a given season so entertaining — the unknown factor. So, make it a point today — if you’re reading this blog, you’re probably planning to anyhow — to sit back and watch a least a little baseball at some point. With every game played from here on out taking teams closer and closer to the World Series in October, there’s nothing quite like Opening Day baseball. 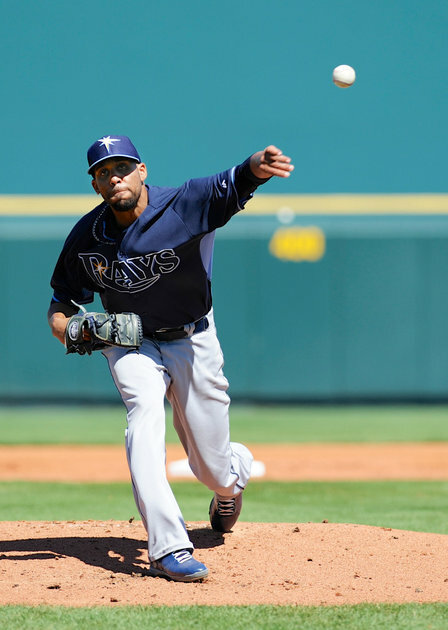 Unless you’re an early riser, you probably missed the start of the 2014 baseball season. 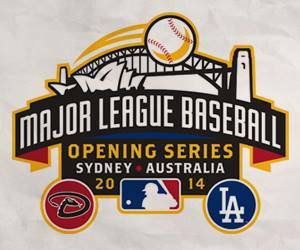 But this isn’t the first time major league teams have squared off in another country to begin a season. Fifteen years ago, the Colorado Rockies and San Diego Padres launched the start of the 1999 season in Mexico. Since then, the regular season has started in both Japan (2000, 2004, 2008, 2012) as well as Puerto Rico (2001) over the years, with this being the first ever matchup in Australia. While these games aren’t played in the United States, they still matter, as they count towards the overall standings. Game one of the two-game series in Australia saw Clayton Kershaw on the mound for the Dodgers, taking on Wade Miley, who was pitching for the Diamondbacks. Originally, Patrick Corbin was set to make the start for the D-backs, but an injury — one that could keep him out a good portion of this season — kept him from making the start. 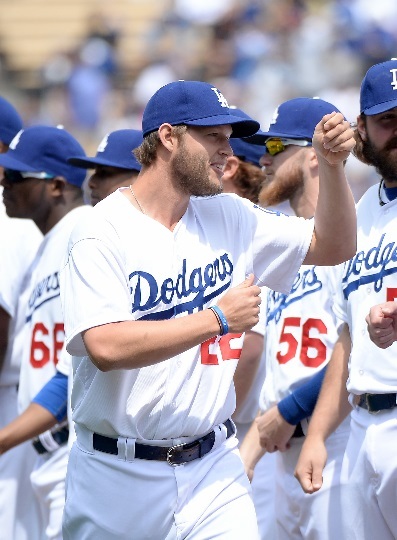 As usual, Kershaw was great, going 6.2 innings, allowing a single run on 5 hits and striking out seven. While Miley struck out more than Kershaw, tallying a total of 8, he also gave up more runs, allowing 3 in his outing; including a two-run homer to Scott Van Slyke. When all was said and done, that was the final score — the Dodgers winning 3-1. 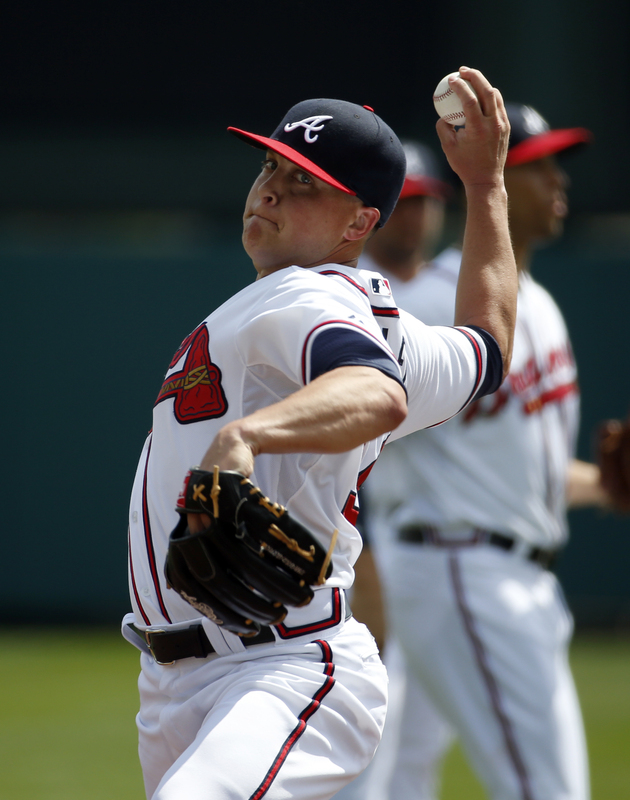 Game two is set to air live, once again, on MLB Network, at 10 p.m. tonight, with Hyun-Jin Ryu taking on Trevor Cahill. With that matchup, and the talent the Dodgers have, it seems very likely that the Dodgers will return to the United States having won both games of the series, but you never know what could happen and what the rest of the season will hold. The Dodgers will play another game on March 30th against the Padres, as part of Opening Night on ESPN. Opening Day officially kicks off the regular season for the majority of teams on March 31st.